The Akashic Noir Series - ebook collection (83 books) | Free eBooks Download - EBOOKEE! Following the stunning success of the summer Ã”Ã‡Ã–04 award-winning bestseller Brooklyn Noir, Akashic Books launches a groundbreaking series of original noir anthologies. Each book is comprised of all-new stories, each one set in a distinct neighborhood or location within the city of the book. Whether youÃ”Ã‡Ã–re a Parisian, a Phoenician, or a Portlandian, thereÃ”Ã‡Ã–s something for everyone in this stunning, city-spanning series. 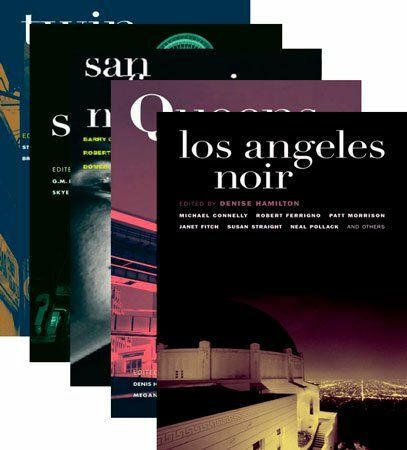 These are crime fiction stories, each edited by an editor familiar with the location with stories chosen to reflect the mood, the feel, the aura of an area. No comments for "The Akashic Noir Series - ebook collection (83 books)".